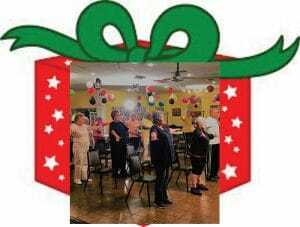 The Grand Victoria Foundation Gives Elgin Seniors A Wonderful Gift this Holiday Season - Senior Services Associates, Inc. The Grand Victoria Foundation has generously awarded Senior Services Associates the funding necessary to pay the rent for the Greater Elgin Senior Center for 2018 & 2019 through their Elgin Grantworks program. Over 600 seniors from Elgin, South Elgin, and the surrounding areas utilize the Greater Elgin Senior Center each year. These individuals take advantage of many healthy aging programs like our evidence based exercise programs, vision, hearing and blood pressure check-ups, educational workshops, dance classes, knitting, arts and crafts, holiday parties, bingo, and more. The Board of Directors, staff, and senior center participants are grateful to the Grand Victoria Foundation for recognizing the tremendous value of having a vibrant and active community senior center. Their generosity will impact the health and wellness of the seniors we serve and have a positive impact on the Elgin community as well. Many seniors come to the Greater Elgin Senior Center looking for things to do with their spare time. Once they start participating regularly, these seniors discover their mental and physical health improves. The friendships they make help to decrease or end feelings of isolation, depression and loneliness. Many seniors call the Greater Elgin Senior Center their second home and its members are extended family. “The Greater Elgin Senior Center is a special place that brings local seniors together and enriches their lives. The information and assistance provided at the senior center by our Senior Services staff enable seniors to stay in their homes and in their communities for as long as possible. 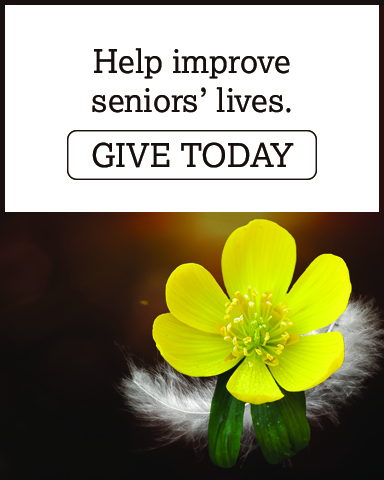 We appreciate the Grand Victoria Foundation partnering with us and contributing in such a substantial way to the lives of the senior population of Elgin and the surrounding area.” States Executive Director, Bette Schoenholtz. Grand Victoria Foundation was established in 1996 and is committed to building vibrant communities. The Foundation receives it’s funding from the Grand Victoria Casino in Elgin which voluntarily donates 20 percent annual net operating income to fund initiatives that help turn local communities into exciting civic hubs. This commitment to giving back to the community sets The Grand Victoria Casino apart from other gaming establishments around the country.